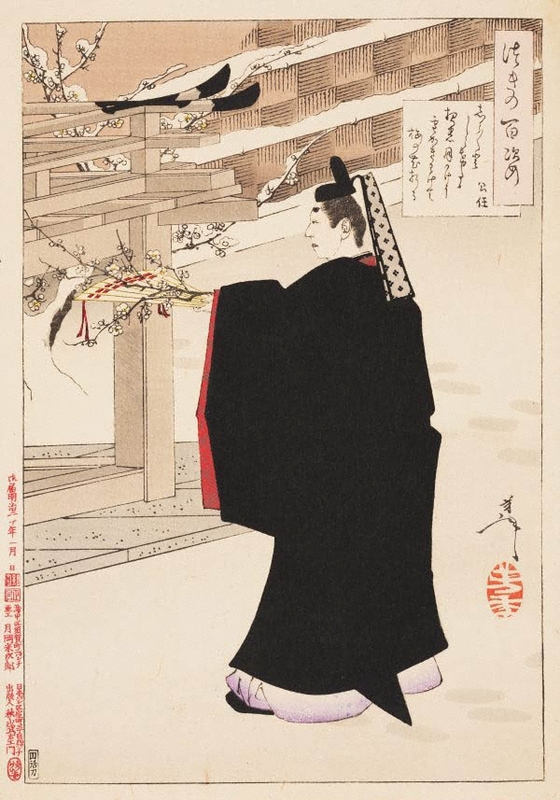 Fujiwara no Kintō was a noted 11th-century musician, poet and historian at the Heian court. In this scene, Kintō is out in the palace garden on a winter night. Snow has just fallen on the blossoming plum branches. The serenity of the scene inspired Kintō to compose the poem cited in the title cartouche. Although not visible in the design, the presence of the moon is hinted at in the poem.